I was already interested in the song as I was totally aware of Cher performing the song on the XFactor – and omg how powerful and emotional was that! Even now I watch it on YouTube and the tears roll – it is so moving. At the time, mentor Cheryl Cole of course acknowledged that Cher can “really really sing”, and Cher can. Combining the vocal and visual impact of Marcella Detroit and Siobhan Fahey so naturally – Cher is amazing and the song feels amazing! So it was good to have the opportunity to get this track and add it to the collection. I think Cher does absolutely right not to stray too far from the original Shakespears Sister version of the song. As to move away from this could lose the essence of the track. It needs that darkness, that rawness, that edge. So it is perfect for Cher as she is more than capable of packing a ton of emotion into every note she sings. There are some singers who can sing but do so with all the emotion of having just found a bit of hard cheese under the fridge or a baked bean stuck in the wheel under the microwave plate! But this is just so not the case with Cher Lloyd and if you need proof – listen to this! FACT! After Cher Lloyd performed ‘Stay’ on XFactor the original version re-entered the UK charts! It had first been there in 1992, before Cher was even born, where it was No. 1 for a whopping 8 weeks! The longest ever time a Girl Band has held the number one spot in the charts! Musically, in complete contrast to ‘Stay’ was also offered ‘Talkin’ That’ – which was available from Amazon! I was heard ‘Talkin’ That’ live on the ‘Sticks + Stones’ Tour – so when I saw it available as an MP3 I was keen to snap it up! Think ‘Dub on the Track’ and you have an idea where ‘Talkin’ That’ is. Or kinda three parts ‘Dub on the Track’ to one part ‘Swagger Jagger’! I mention the latter because in the track, Cher again confronts the haters and faces them down completely: ‘You wanna be fly but you’re living low … say what you want, you can talk til you’re blue as the sky, haters! … all day talkin’ that mess!’ It’s a fab slab of brooding industrial dubstep with elements of later Gwen Stefani and Britney Spears. All deep, dark and moody! It was really nice to see this regular in Cher’s UK 2012 set list recorded and a little bit of me is a little surprised it didn’t make it onto the album proper as it would have settled well alongside ‘Dub on the Track’. But we have it here so all is still good! ‘Stay’ was written by Siobhan Fahey, Marcella Detroit and David A. Stewart. Sassy, brassy + bratty !!! When we get to track 6, I like to think that the individual in ‘Beautiful People’ has been able to pick themselves up and turn things around. As the track begins with the lyric ‘No Playa Boi can win my love, it’s sweetness that I’m thinking of’. It seems a response to what happened in ‘Beautiful People’? I don’t know if it’s meant like that? But that’s how it appears to me. Once bitten, twice shy – that ain’t gonna happen to me again!!! But taking ‘Playa Boi’ on it’s own, what do we have? A fab blend of old (skool) + new (r&b)! As this saucy skit has one bumblebee trainer covered foot in late 1980’s/early 1990’s style hip-hop – with the other planted in a contemporary and industrial r&b. The ‘cherry’ on the icing on the cake been provided by the cheeky incorporation of Neneh Cherry’s 1988 innovative hit ‘Buffalo Stance’ with the sophistication of the same artists’ ‘Manchild’. It’s an ‘a salt with a deadly pepa’ with all the sassiness of Macy Grey! I love it’s keyboard arrangements, its casio sounds and big synthy string stabs and wave noise! Cher is on top form throughout – feisty and frontin’, name dropping Phar(r)ell (???) – and telling us to “Listen’ up, turn it up” – and “don’t u mess …” So sick I Love it! It’s a lovely toe tapping tune with the melody set by the vocals as Cher tells us how she loved and loved with all of her power but was ‘used and abused until she was sweet and sour’. It’s all about the illusion of love and how sometimes perhaps people aren’t always as good as they make themselves out to be. And once the illusion is removed it all pretty much falls apart. You know what? It happens to me all the time lol! But this classic scenario is given a humourous twist when Cher declares she’s had enough, don’t wanna be a Superhero and don’t wanna fight anymore and kicks out her ‘fake ol wanna be Superman’ with ‘a roundhouse kick to the temple’! The track is punctuated throughout with charming sub electro-cello’s and a twinky piano. Over the top of that is layered a rousing dry snare and intermittent buzzsaw guitars and then the whole thing is decorated with electronic twiddly bleeps and sweeps! It tips a hat towards Nikki Minaj – as Cher delivers a simply fab rap yet sings the chorus – but the song maintains its own identity and is an integral part of the album! Next track is, I have to say my favourite song off ‘Sticks + Stones’ – it’s ‘Over the Moon’ and that’s how it makes me feel lol. 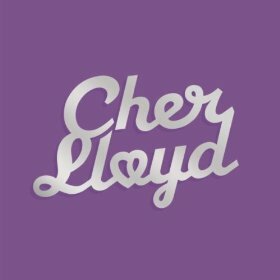 It’s a jangly feel good electro-pop tune that’s a mash-up of genre’s – which again makes it to me, signature Cher Lloyd! The track begins with a vintage feel of all things! A percussive glockenspiel jingle bell riff plays as backing singers provide Cher with a 50’s/60’s feel with their ‘Ooh wap wap – Ooh wap wap’ accompaniment as she sings the main hook. There’s some kinda radiophonic effect on the vocal which has me imagining one of those shiny classic Shure Super 55 microphones has been used? I’m not so s(h)ure if it was (groan) but it just has that vintage vibe to it. A feeling further enhanced by little audible clicks and pops as if it’s all been played back on a vinyl record – it’s very charming! During the verses the track all breaks down into a part poppy, part dubby rap – ‘I’m over the moon … no silver spoon in my milky way … when Simon told me I was trouble all I said is ‘ok’ – which is fun as the name ‘trouble’ is the nickname Simon Cowell has for Cher ha ha! So that’s a nice little cheeky reference to the XFactor Boss who handed Cher her first record deal after she reached the series 7 finals of XFactor in 2010. Next up is ‘Dub on the Track’ which takes things in another direction entirely. As the track is a deep dark brooding blend of industrial, rap and dubstep. It all begins with noise like braking trains and radio interference and some ghostly vocals from Cher then the track kicks in with some fab synthesized pitch bends, moody kickdrum and snare, scratch noise, electronic noise and just noise! The choice of words in the lyrics lends loads to the pent-up atmosphere of urban industrialization – it’s all ‘machines’ & ‘gasoline’, ‘supersonic’, ‘astronomic’ and ‘electronic’ – like the recording studio itself is in the middle of Gotham City! Cher recruits Mic Righteous, Dot Rotten and Ghetts who all contribute a rap of their own to the track and the whole thing moves like some spooky transformer robot – all shiny black metal and chrome ha ha! The singing and rapping from Cher is absolutely fab – as is the rapping from the 3 boys. It’s a bold venture into an area which no other track takes us to on ‘Sticks + Stones’ and what’s more, it succeeds. So Cher can hold her head high as she is most definitely the kinda girl who has put the dub on the track! The song is in a similar place to ‘Beautiful People’ and it all begins really pretty with a lovely synth string arrangement which is joined by cello strings to accompany Cher has she begins to sing. We learn that the subject of the song has fallen for a real bad boy – oops! – but has realized that she is nothing special in this persons life and is just a distraction. But although the love has gone and there’s the need to ‘put out the flame and move on‘, there is an implied dependence still there in the sinister form of ‘could u gimme that dust that u throw right round, get me that stuff make ya wanna get down’ before lamenting ‘ay ay ay I didn’t wanna end up here’. Musically, the track is enigmatic and enchanting. I’ve already mentioned the strings! They give the track such a human feel – and when soft electric guitars are added and the drums the whole thing is a lovely backdrop to Cher’s soaring vocal – which on it’s on conveys immense emotion. It’s powerful stuff and a really poignant track – really stands out on its own – and make’s for a perfect wind down and close to the album. What an absolutely fantastic album to debut with. As I believe ‘Sticks + Stones’ to be a record far stronger than what some established artists with supposedly more clout and resource have managed to muster. In terms of music we have big rich slices of pop, r&b, hip-hop, rap, dubstep, old skool – and even a mildly alternative number as well. In terms of attitude and emotion; we have fiestiness with ‘Grow Up’, cheekiness with ‘Want U Back’, tenderness with ‘With Ur Love’, aggression with ‘Swagger Jagger’, anguish with ‘Beautiful People’, brassiness with ‘Playa Boi’, sassiness with ‘Superhero’, happiness with ‘Over the Moon’, poise and assurance with ‘Dub on the Track’ and mounfulness with ‘End Up Here’. It’s a Jukebox not only for our ears and our feet, but for our heads and our hearts too. That is why I Love the album ‘Sticks + Stones’ to bits – it’s fantastic and to me, it’s a work of art! ‘Playa Boi’ was written by RedOne, AJ Junior, Bilal “The Chef”, Johnny Powers, Neneh Marianne Karlsson Cherry, Cameron Andrew McVey, James Philip Morgan and Philip Geroge Ramocon. It was produced by RedOne and Johnny Powers. ‘Superhero’ was written by Priscella Renea, Ronald Jackson, Gerald Martin and Formetta Gibson. It was produced by Jukebox. 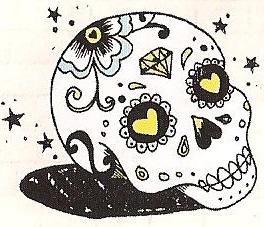 ‘Over the Moon’ was written by Cher Lloyd, RedOne, Eric Sanicola, Savan Kotecha, AJ Junior and Bilal Hajji. It was produced by RedOne, Eric Sanicola and Jimmy Joker. ‘Dub on the track’ was written by Cher Lloyd, Livvi Franc and Toby Gad. It was produced by Toby Gad. ‘End Up Here’ was written by Cher Lloyd and Ronald Jackson. It was produced by Jukebox. … released 07 November 2011 the album reached Number 4 in the UK album charts! 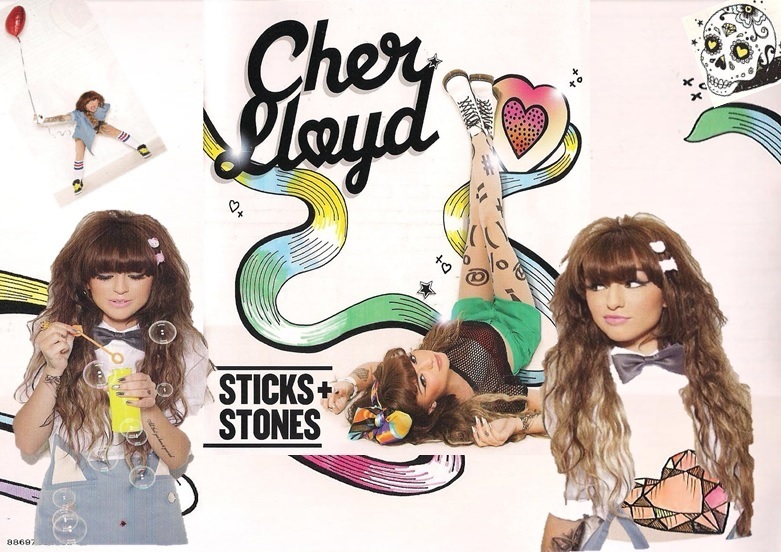 It was November 2011 when Cher Lloyd unveiled her debut album in the UK, ‘Sticks + Stones’. It was released on Syco Records (Simon Cowell’s venture with Sony) and described by Cher Lloyd herself as a ‘jukebox’ because each track is different! Which is certainly correct! I think it’s a classy, sassy pop mix which contains slices of bubblegum, synthpop, r&b, hip-hop, rap, dubstep and even a ballad! Cher has input on the writing on of 5 of the 10 tracks on the album – and ‘Sticks + Stones’ whizzes along thru the 10 in a little over half an hour with a ton of swag! I just love every minute of it! This post will talk about the first 5 tracks that make up ‘Sticks + Stones’! The opening track is ‘Grow Up’- a piece of peachy perfect bubblegum pop music. Cher opens the track by singing the chorus “We ain’t never gonna grow up, we just wanna get down” before launching into a quickfire rap “I got a flow that’ll make you drop, I got a flow that’ll make you pop!” – clearly demonstrating her ability to both sing and rap! Like Cher’s biggest selling single off the album; ‘Want U Back’, the track ‘Grow Up’ has Cher Lloyd written all over it! Cutesy and cheeky, it is Cher Lloyd doing what she does best – with echos of Nikki Minaj and in terms of fun, Dizzee Rascal. It’s so good Busta Rhymes even hops on board as well to deliver a rap for Cher too! 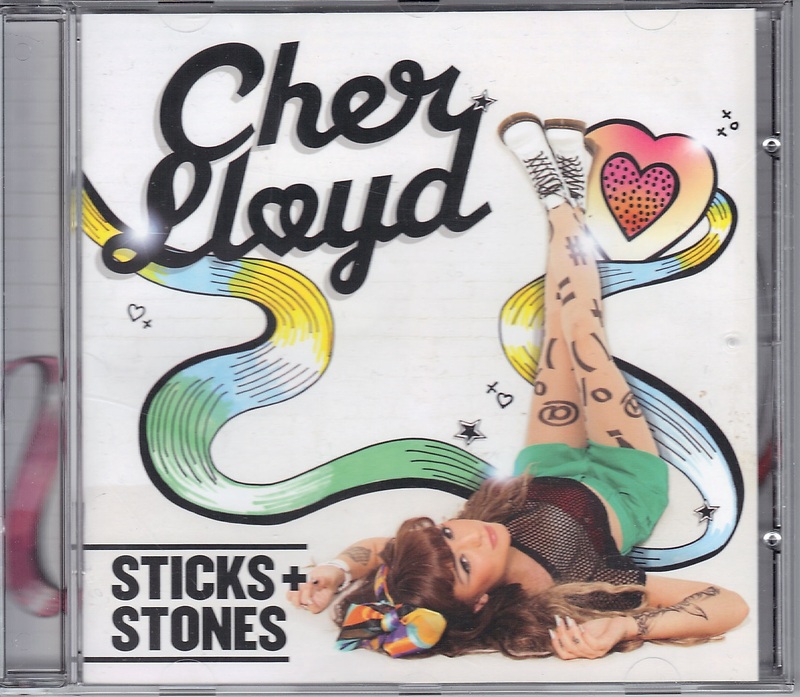 ‘Grow Up’ is a great choice of opening track for the album as Cher determinedly launches ‘Sticks + Stones’ and brand ‘Cher Lloyd’. The stall is set out – then it’s set on fire!!! Track 2 is ‘Want U Back’. A song which tells us of a girl whom having kissed her boy goodbye and walked away, is now wanting him back after spotting him around town with another girl. Perky, addictive – and from the opening “UHHN!” the track is loaded to the hilt with brattiness! And it’s that bratty attitude, which is no way is gonna just shine thru but positively blazes – as if looking into the sun – that just makes me love the song so much! I think of all the tracks on the album, ‘Want U Back’ captures the brat element the best of them all ha ha ha! Musically, ‘Want U Back’ is an extremely catchy and sassy electro-pop tune. Cher opens the track with a loud “UHHN!”, and the song begins with synths and drums combining to produce a tune so incredibly lively and bouncy. After a nonchalant throwaway ‘la la la-la la la laaa’ Cher sings “Hey Boy u never had much game, thought I needed to upgrade so I went and walked away away away…” and off she goes, leaving boyfriend in her wake. But before long however, Cher then discovers her ex has moved on to someone new but still doing all the things he used to do with her. Cher reminisces “Remember all the things that u and I did first? And now you’re doing them with her?” and realizing she is feeling like “shh” wants her old boyfriend back!!! ‘Want U Back’ is beautifully produced, embellished with delicious electronic hooks and licks – and Cher’s own voice adding fun haughty backing vocals. It’s a delight and an incredibly strong track and has been likened to Jessie J and Rihanna. But I’m not gonna say that as to me it is a signature Cher Lloyd track! This leaves all the others miles behind! 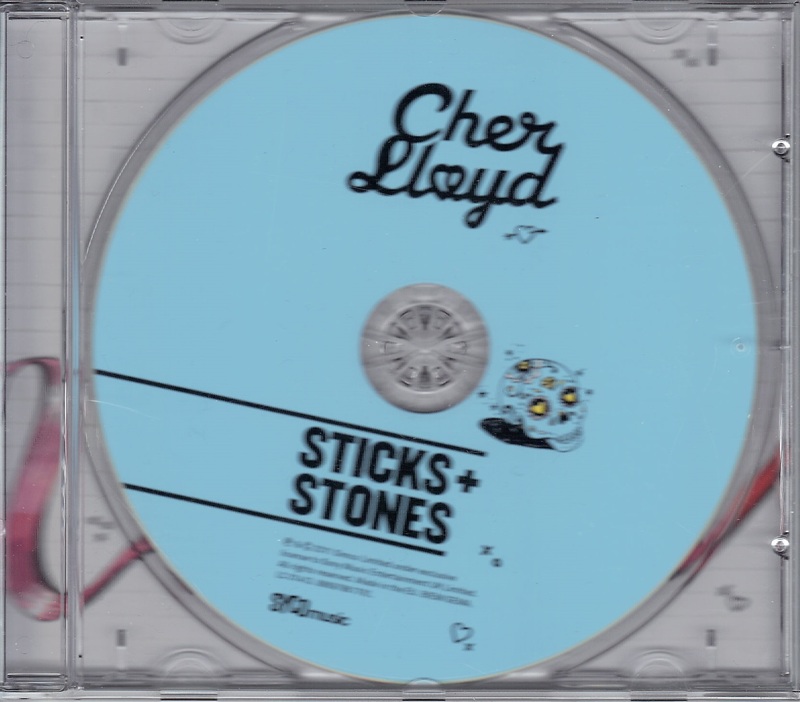 So Cher begins ‘Sticks + Stones’ with 2 lively and catchy synthpop tunes which are classic Cher tracks in extrovert mode. But what if we wanted to get nearer the centre? The nucleus? The heart? What would we find beating away at the centre of ‘Sticks + Stones’? What if we needed the album to provide something for our own hearts as well as for our dancing feet? Well next up is ‘With Ur Love’ delivering just that. It’s a lovely crafted piece of pop music and an emotionally charming and inspirational lovesong. Ok though, but this is Cher Lloyd – and the first 2 tracks of the album were so loaded with attitude do we not get any here? Well yes we do! We get that at the beginning of the track with as Cher sings “I keep building walls up but u tear ’em down, I’m fighting … u got an AK and ur blowin’ through, explosive”. But the song is a love song so that’s what wins through and Cher gives into love and the track builds and builds and eventually lightens and really takes off. Cher’s vocal ‘da da da-da dum dum, da dum dum’, sets the melody which begins and ends the track and underpins throughout. Mike Posner hops on board to lend some vocal support too. It’s lovely!!! Cher really gets to sing on ‘With Ur Love’, which she acknowledged herself ‘instead of jumping around’! It’s a wonderful piece of pure pop music with elements of r&b. So sassy! With track 4, we’re getting towards the middle of the album and in stark contrast to the track before, where we’re placed in a cosy place, Cher then removes our sense of security and gives us a punch in the chops with her tiny fist! As next up is lead single from the album ‘Swagger Jagger’! Probably one of the most divisive number 1’s that’s been in the charts for ages! The track opens with Cher singing “Swagger Jagger, Swagger Jagger, you should get some of your own,” over small crackles and pops – as if the recording was been played back on vinyl. Then kick in the drums and the blaring airhorns, before Cher raps “you can’t stop looking at me, staring at me, be what I be…” and declares her swagger’s in check. ‘Swagger Jagger’ incorporates the melody from a famous traditional North American folk song called ‘Darling Clementine’ and is a song about copycats who need to ‘get some [swag] of their own’. I interpret it as a rallying call for the listeners with their own “swagger in check” to face down the haters with the message to them been – just “let it go”… sticks + stones and all that yep? 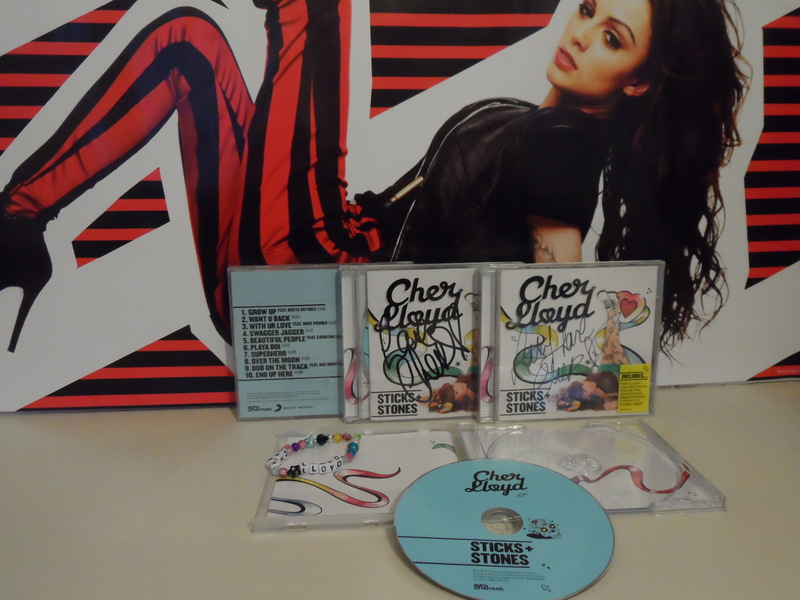 You know, I think ‘Swagger Jagger’ is my all time favourite Cher Lloyd song, I just really really like that track. And I don’t care what anyone says about the song as I just love it’s blistering airhorns and catchy hooks – I think it’s fab – so if you hate it – just ‘get out of MY way’ ha ha!!! The tune really gets stuck in your head – like some kind of tentacle that goes into your ear and feels around the inside of your brain – I do love it!!! After ‘Swagger Jagger’ Cher calms it all back down again with ‘Beautiful People’ described by Nick Levine as “an emo power ballad”¹ which I think on one hand is an authentic sum up of the track. On the other it’s very accessible, like a track you could imagine from Avril Lavigne – so sitting just on the threshold of emo-land! The song is a collaboration with American/Swedish alternative rockers “Carolina Liar” and is a magnetizing and heart-breaking ballad. Acoustic guitars and piano combine to give the song a really human feel completely needed for the subject matter of the track, which I interpret to be unrequited love with a disturbing twist. In the song, the object of the subjects love, who would usually be unaware of that love and so unreturning it unknowingly, is this time is fully aware and playing it all to their own advantage. This recognition of the dark side of unrequited love is what the track deals with as the subject realizes and prepares themselves sorrowfully for their inevitable fall. It gives Cher the opportunity to really let her voice soar and when she does, she more than sends shivers down your spine! The emotion in her voice is incredible! When Cher sings about the life been sucked out of her heart I’ll challenge your own beating heart to stay within its ribcage and not be ripped from it. If it isn’t, you must either be clinically dead or a Zombie! ‘Grow Up’ was written by Cher Lloyd, Kevin Rudolf, Jacob Kasher, Savan Kotecha, A. Harr, J Jackson and Trevor Smith. It was produced by Kevin Rudolf and The Runners. ‘Want U Back’ was written by Shellback and Savan Kotecha. Produced by Shellback. ‘With Ur Love’ was written by Shellback, Max Miller, Savan Kotecha and Mike Posner. Produced by Shellback. ‘Swagger Jagger’ was written by Cher Lloyd, Autumn Rowe, Jermaine Jackson, Andrew Harr, Andre Davidson, Sean Davidson, Marcus Lomax and Clarence Coffee Jr. It was produced by The Runners. ‘Beautiful People’ was written by Chad Wolfinbarger, Alexander Kronlund and Tom Hamilton. Produced by Max Martin and Shellback. ♥ Do u ♥ Do u ♥ Do u know what I mean? ¹ Nick Levine, in his 01/11/2011 review of ‘Sticks + Stones’ on the BBC website.